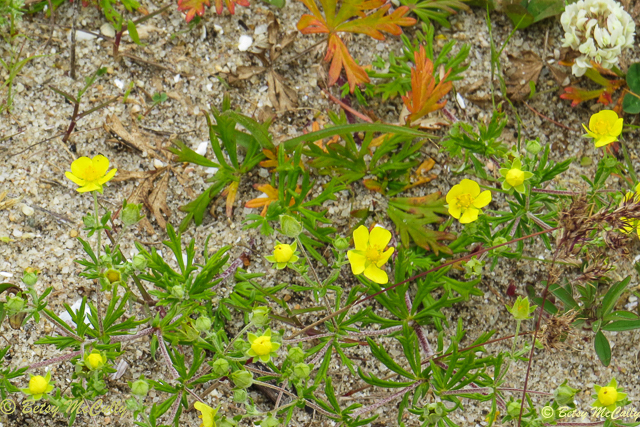 Silvery Cinquefoil (Potentilla argentea). Rosaceae family. Introduced, naturalized. Dry poor soils. Roadsides and sidewalks, dry lawns, clearings, fields. Napeague, Long Island, 2017.